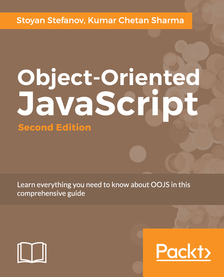 I’ll get it because I trust @p1xt’s recommendations - but am I missing Elliott’s point in thinking it’s relevant to this book, or is he talking about a fundamental misunderstanding people have with OO in JS that this book does not really suffer from? Everything I’ve done so far is mostly functions calling functions so i’m quite keen to see how OOP works. I’m still newbie enough that whenever anyone says anything even mildly authoritatively, I’ll buy it, hook line and sinker. I thought the Stefanov book on React was decent, so I’d give this a look too. Thankfully I downloaded it yesterday. I had to use PHP for a single semester of college, and I’m in no hurry to go back there! @P1xt If you want a copy of the OOP JS ebook, I can upload it somewhere for you to download. yeh what you need? Just msg me with the titles and your email address. Don’t seem to be able to attach to a PM. @MARKJ78 Alright will do. Thanks a lot, man. 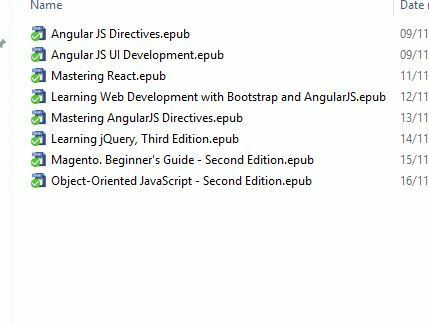 Hey, can you get me OOP, Angular, and React too? My email is on my profile page. Guys you should have an email with attachments. Let me know if you don’t get it for some reason. I got it, was in the spam folder so took me a while. Thank you! Can I have all your ebooks in the screenshot?